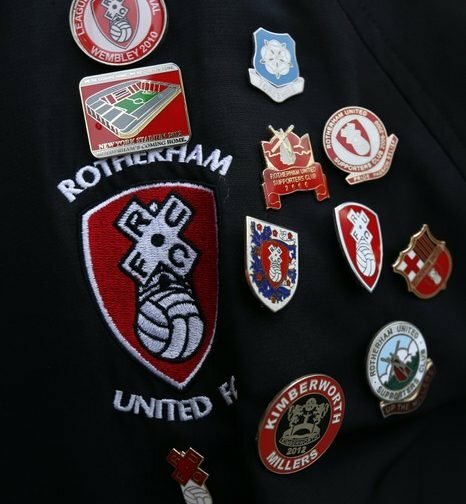 Rotherham United beat Premier League side Cardiff City in the only pre-season friendly at the New York Stadium this afternoon with two cracking goals. New boy Zak Vyner was quick out of the blocks for the hosts sending the ball towards Michael Smith in the area who in turn found Joe Mattock but his shot went over the crossbar into the two hundred travelling Cardiff City fans in the stand. Jon Taylor and Ryan Williams were also busy and when Taylor sent Williams on his way his shot was well saved by Neil Etheridge in the City goal. But despite the good start from the Millers it was the visitors who opened the scoring on thirteen minutes when Lewis Price didn’t pick up a Greg Cunningham cross and instead parried it out to Josh Murphy who stuck his foot out and put the ball into the net. And it could have been two a few minutes later when a Murphy was there to pick up a Joe Ralls free-kick but saw his shot go inches wide of the upright which was followed by a shot from Kenneth Zahore just yards from goal which mysteriously didn’t hit the target. Just after the half-hour mark a nice ball from Smith sent Taylor scurrying down the wing and when his cross into the box found Matty Palmer there was only one place it was going to end up giving the Millers the equaliser. In the following minutes a strange decision from referee Scott Taylor saw the Bluebirds get a free-kick on the edge of the box. Joe Bennett curled the set-piece over the Rotherham wall and saw it go just wide of the goal. The final minute of the half saw a super free-kick from Palmer but City ‘keeper Etheridge was there to collect. Back at the New York Stadium Marek Rodak replaced Lewis Price in goal with Billy Jones, Clark Robertson and Joe Newell also coming on for Zak Vyner, Richard Wood and Ryan Williams for the start of the second half. Neil Warnock also made four changes fetching on Alex Smithies for Neil Etheridge, Sol Bamba on for Jazz Richards and Josh Bennett and James Waite for Junior Hoilet and Aron Gunnerson. Alex Smithies was soon in the action when he had to push a cross from Joe Newell over the bar with the resulting corner finding the head of Semi Ajayi who put the ball just over. Smithies also did well minutes later when Newell set up Matty Palmer to palm the ball away to safety. City brought Nathaniel Mendez-Laing, Gary Madine and Callum Paterson for Joe Ralls, Kenneth Zahore and Josh Murphy while Kyle Vassell, Ben Purrington, Anthony Forde and Sean Raggett replaced Jon Taylor, Semi Ajayi, Joe Mattock and David Ball for the hosts. New boy Raggett, signed on loan today from Norwich, impressed straight away when he got in behind the Cardiff defenders to meet a Newell corner seeing his header go just wide. Sean Morrison came on for Matthew Connolly while Kadeem Harris came on for Bobby Reid for the visitors. Rodak was brought into the action on seventy minutes when a Harris cross found Madine but the Millers’ keeper made the save look easy before the Cardiff players had an appeal for a spot-kick turned down after they thought a Millers player had handled in the area. With twelve minutes of the game left some superb work from Vassell found Smith whose shot from distance flew into the bottom corner of the net to give the Millers the lead. Michael Ihiekwe and Ben Wiles came on for Palmer and Smith. Minutes later it might have been three for the hosts when some nice work between Forde and Purrington ended with a lovely cross into the box which was just too long for Vassell to reach. A free-kick in the final minutes of the game saw Madine put the ball just over the crossbar while down the other end a cross into the box from Forde found Vaulks who skied the ball into the empty seats behind the goal from inside the box. All in all a good work out for the Millers, who picked up the pace in the second half and seemed to surprise the City boys by their pace. My Man Of The Match – Matty Palmer.